SparkPoint at Cañada College is a one-stop financial coaching and education center where students and community members access a full range of free services that lead towards financial stability. Individuals meet one-on-one with a financial coach, identify financial goals and establish a timeline for completing their goals. Is there a cost for receiving SparkPoint services? Financial coaching is FREE to students and community members. Most services are also free to everyone but some are low-cost. Cañada Cash – Reward yourself for smart money management! Turn $100 into $200 or receive $25 incentives (maximum of four) for completing positive financial behaviors that will organize your finances, decrease your debt, and / or improve your credit. Additional incentives are also available for completing career search and transfer activities. CalFresh – Obtain healthy and nutritious food for you and your family! Eligible individuals use a convenient card that works like a debit card at most grocery chain stores and neighborhood stores. The Food Pantry – Obtain healthy and nutritious food! The full-service on-site food pantry is free for students and community members who need food. The pantry is located in Bldg. 5, room 5202 and open on Tuesdays, Wednesday’s and Thursdays from 1:00 pm to 3:00 pm and Thursday evenings from 5:00 pm to 6:30 pm. Housing Resources – Are you homeless or about to face homelessness? Learn about college resources and services including priority registration and fee waivers and other resources. Connect with community resources that address housing insecurities, such as, home sharing and subsidized housing programs. Receive information on local food pantries and hot meal programs. Confidential Legal Clinic appointments can also be scheduled by visiting www.tinyurl.com/CanLegalClinic. When did SparkPoint at Cañada College open? SparkPoint at Cañada College opened on February 5, 2015. To better serve these individuals and their families, in February 2015, Cañada College became the second college in California to host a SparkPoint Center. Today, there are 21 SparkPoint centers located within the San Francisco Bay Area. Are you experiencing homelessness or are you looking for food? Providing a safe space to discuss personal finances and working on goals that lead towards financial wellness. Connecting them to community resources that address housing insecurities, through home sharing and subsidized housing programs. Informing them about the on-campus food pantry where homeless individuals are welcome to choose the food they would like to take. SparkPoint intentionally orders food that students without a cooking space can utilize. Providing individualized support for homeless individuals to access food resources, including hot meal programs and CalFresh. Making referrals to meet with a lawyer to discuss their rights as tenants. For students under the age of 26 who have experienced homelessness within the last two years, SparkPoint serves as a Homeless Youth Liaison. 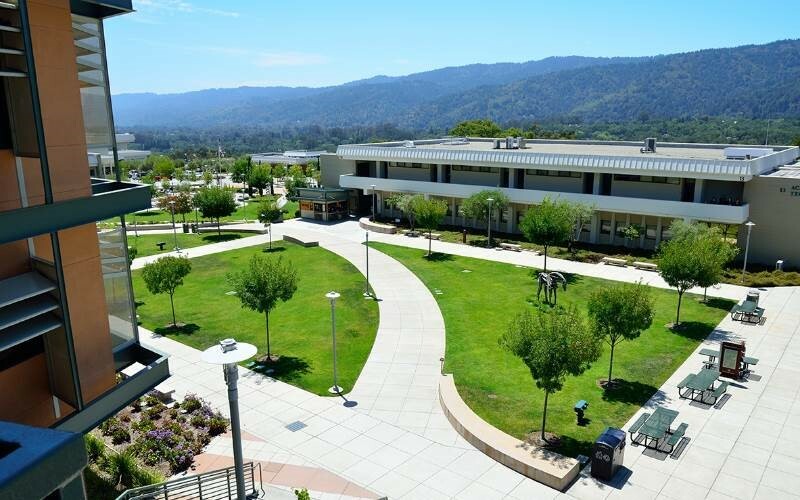 Cañada College is located in Redwood City, California, within Silicon Valley. Located in San Mateo County, the campus sits on a beautiful bluff overlooking the Redwood City hills.